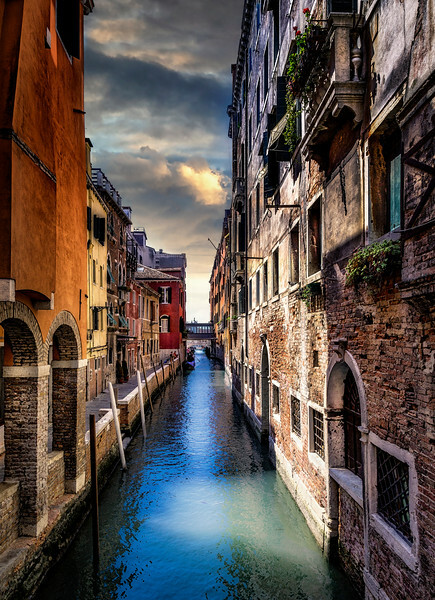 It's hard to believe that Venice is actually 118 small islands linked by 400 foot bridges. It makes for a maze of canals and buildings, all different and boldly colored. It's easy to get lost and that seems to lend to the charm of Venice. Somehow, you always seem to make it back to where you started and if you're lucky, the Piazzo San Marco is the best place to contemplate your earlier adventures with a nice glass of Prosecco.